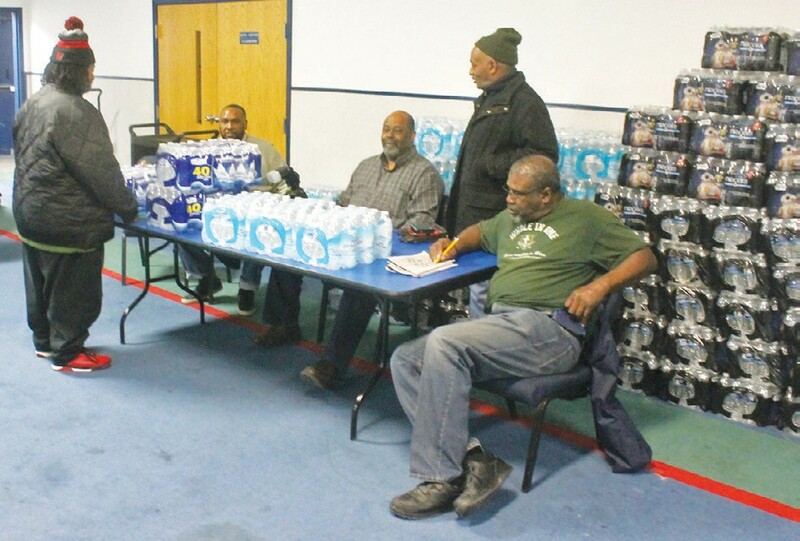 Volunteers are shown here handing out water to Flint residents. 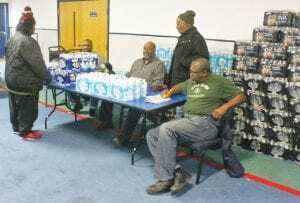 GENESEE COUNTY — The city of Flint, once famous worldwide as Vehicle City, now finds itself thrust onto the world stage as the site of a contaminated water crisis that has generated controversy and left thousands of residents without safe drinking water. On Saturday, President Barack Obama granted the request Gov. Rick Snyder’s made Jan. 14 to declare a federal emergency in Flint. The move will provide residents with additional resources to insure access to safe, clean water. Obama denied an additional request for a major disaster declaration. Congress has the option to approve additional funding. The governor had also requested a major disaster declaration, which was denied based on the legal requirement that under the Stafford Act disaster relief is available only for natural events, fires, floods, or explosions. The state is now actively reviewing the process for appealing the disaster declaration denial. A day after sending requests for aid to President Obama, Gov. Snyder offered the following statement supporting a request to return more executive powers to the mayor of Flint. “We’ve been working closely with Flint Mayor Karen Weaver as we address the challenges facing the city. The Flint city charter establishes a mayor-centric form of government. Flint is headed by the mayor who serves as the city’s chief executive and the City Council, serving as the city’s legislative body. The city currently is in receivership, and the city administrator is responsible and accountable for the day-to-day city operations. “Mayor Weaver has requested that the powers and authority currently vested in the city administrator be transferred to the mayor. I agree with her, and have asked the Receivership Transition Advisory Board to support that resolution. The Michigan Department of Health and Human Services is reporting an increase of Legionnaires’ disease (LD) in Genesee County in summers of 2014 and 2015. While the MDHHS cannot conclude that the increase is related to the water emergency in Flint, the State of Michigan is treating this situation with the same urgency and transparency as the lead response in the city of Flint. MDHHS has confirmed data through March 2015, and is finalizing preliminary data through November 2015, which indicates an additional increase in cases. From June 2014 to March 2015, 45 LD cases were confirmed in Genesee County, including seven associated fatalities. From May 2015 through November 2015, 42 LD cases, including one case of Pontiac Fever, were reported.